September, 2017-- This October, Objects of Art LA will debut at The Reef in Los Angeles. One of the highlights is a special exhibit “The Journey is the Destination: Safari with Dan Eldon,” featuring over 25 limited edition prints from the journals of the artist, many of which were featured in the best-selling book of the same name published by Chronicle Books. Much of the work has never been on offer before and this will be the first time any of the prints will have been exhibited for sale on the West Coast. Every piece has a direct reference to Eldon’s safaris, and Objects of Art LA will be the only place to view several of his actual journals, which will also be part of the exhibition. Eldon's art is in numerous prestigious private collections, including those of Diana Rockefeller, Madonna, Julia Roberts, Christiane Amanpour and Rosie O'Donnell, among many others. There will also be two showings of the new award-winning feature film launched at the Toronto Film Festival, The Journey is the Destination, starring Maria Bello and Ben Schnetzer, which tells the story of how Dan Eldon, the artist, explorer, and Reuters photojournalist, led a group of unlikely teens on a rollicking safari across Africa to deliver aid to a refugee camp in Malawi in 1990. The film then follows Dan as he finds himself covering a famine and spiraling civil war in Somalia as Reuters’ youngest photojournalist. Eldon’s personal story as a photojournalist and activist, working to tell stories of war and famine, has been an inspiration to countless people since his death in Somalia in 1993. This tragedy made headlines around the world – Eldon was 22 years old. 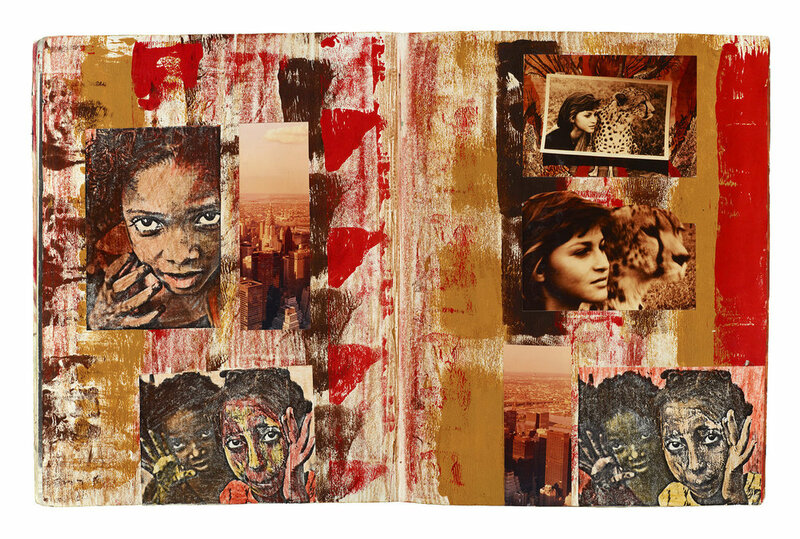 During his short life, Eldon created 17 journals filled with vibrant collages of his adventures and thoughts. 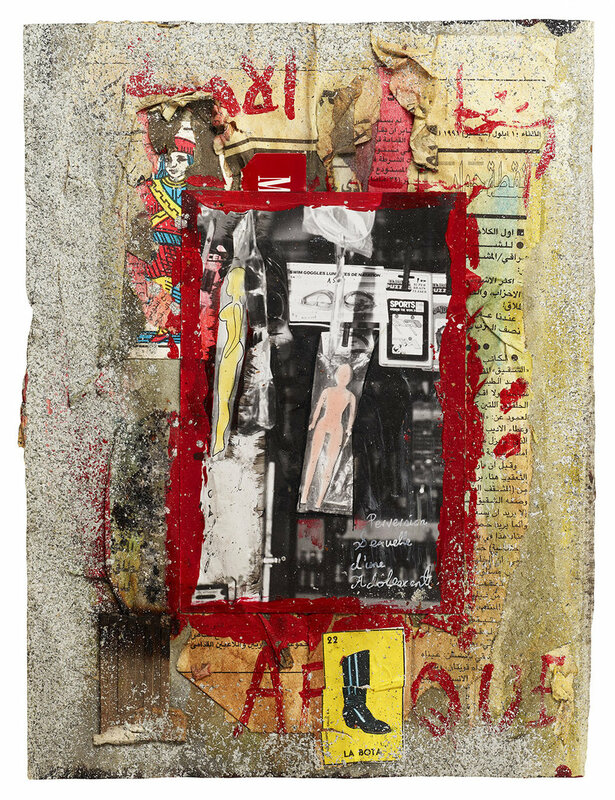 Originally inspired by his friendship with Peter Beard, and later his love for Basquiat and Rauschenberg, these books are filled with vibrant collages of his adventures and thoughts. In the pages that fill the bulging journals, Eldon reveals imagistic insight into his extraordinary perspective on the world. They include snapshots of his life growing up in Kenya, explosive images taken in war-torn Somalia, and detailed drawings of the world around him. They are a blend of photographic reality with transient ephemera of the everyday, and vivid blueprints of Eldon’s imagination. The works’ multilayered complexity recalls the photo collages of early 20th century artists such as Hannah Höch and John Heartfield. While both tell of worlds submerged in chaos, Eldon’s work seeks to find equilibrium within the madness. From page to page, Eldon’s style and rhythm shift and evolve, reflecting his exploration of the world and his place within it. In 1998 his mother Kathy Eldon and sister Amy Eldon Turteltaub founded the Creative Visions Foundation, a publicly supported 501 (c) 3 organization aimed at helping others like Dan use media and the arts to create meaningful change in the world around them. Over the past ten years, Creative Visions has moved from Kathy’s kitchen table to its headquarters at the Dan Eldon Center for Creative Activism in Malibu, CA, and the organization has incubated over 260 creative activist projects in more than 35 different countries. Proceeds from the sales of Dan Eldon’s work at Objects of Art LA will go to support Creative Visions Foundation. For information and tickets about Objects of Art LA as well as other Objects of Art Shows, visit www.objectsofartshows.com. For interview requests, photos, and other information, contact Clare Hertel at 505-474-6783 or 505-670-3090; clare@clarehertelcommunications.com.